1. Heat up the skillet over medium heat until very hot. 2. Add 2.5 tbsp oil and hash brown into hot skillet, sear and cook for 7 minutes. 3. Flip the hash brown, add 1 tbsp oil and cook for 5 minutes or until inner temperature reach 160F degree. 4. While waiting the hash brown to cook through, add 1/2 tbsp oil in non-stick pan over medium heat until very hot. 5. Crack 3 eggs (be careful not to break the yolks) and lower to medium low heat, cook for 2 minutes and cover with lid for 1 minute, lid and heat off. 6. 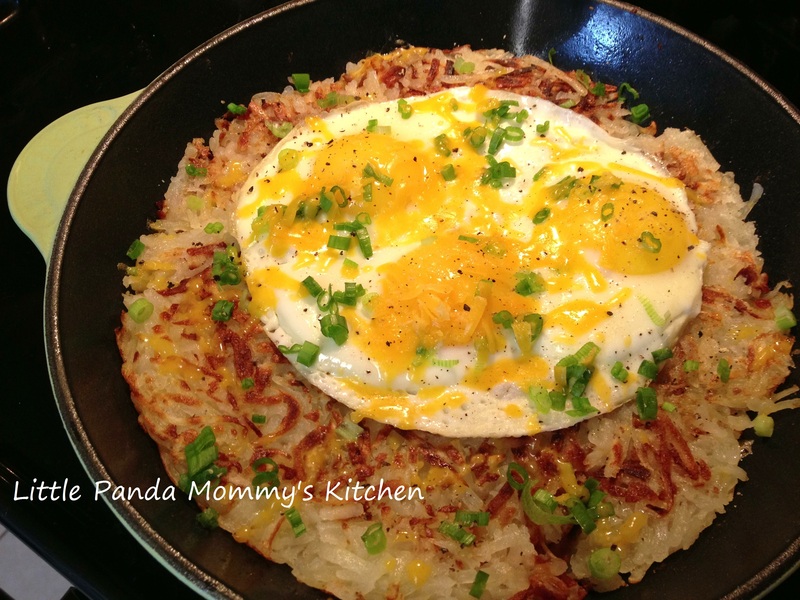 Add sunny side-up eggs on top of cooked hash brown, sprinkle green onion, cheese, salt and pepper to taste. 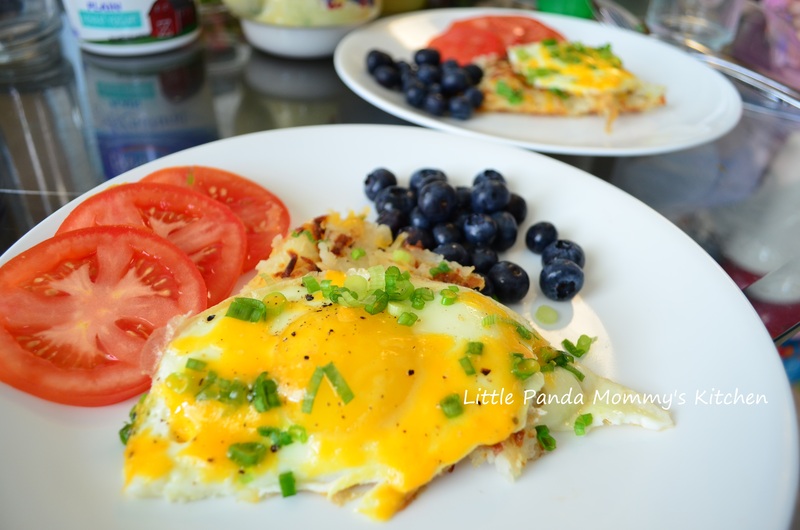 This entry was posted in Breakfast choice, Cast Iron Recipe, Easy Cooking, Healthy Eat, Le Creuset Recipe, Meal in 30 minutes and tagged Breakfast, Cast iron, Easy Cooking, eggs, Hash-brown and sunny side-up eggs recipe, Healthy Eat, Le Creuset Recipe, potato, recipe. Bookmark the permalink.